work, worship and home of many of her dear friends and colleagues. November 9 and 10 marks a very sad anniversary in the history of Vienna – the so-called Kristallnacht, or Night of Broken Glass – which occurred in 1938 and was part of the Nazi plan to terrorize Jews to such an extent that they would be forced to leave the safety of their homes to seek refuge abroad. It was the start of the atrocities committed against Jews and other ethnic and social groups by the Nazis during WWII. In Vienna 6547 Jews were arrested on Kristallnacht, and 42 synagogues and houses of prayer were set aflame. Over 5000 shops belonging to Jewish owners were closed, plundered and destroyed. In Vienna, the action began at 4 am. The name “Reichskristallnacht” is largely a misnomer since much of the damage was carried out in broad daylight. 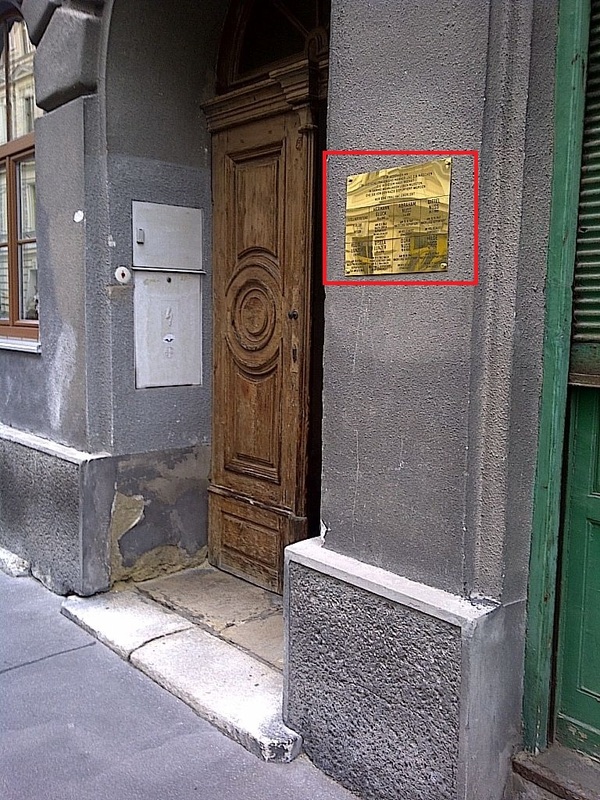 Under the command of Adolf Eichmann, the city temple in Vienna in the Seitenstettengasse was taken by storm, destroyed and occupied, but because it was so close to neighboring buildings, was spared a fiery end. Around 4 pm, other synagogues and prayer houses throughout the city, 42 in total, were set aflame. Fire trucks were only dispatched to ensure that the flames remained confined to the Jewish buildings and did not cause any damage to neighboring houses. An order was sent out to all police stations to arrest wealthy Jews, remove them from their larger apartments and place them and their family members in smaller living quarters. All at once, two thousand apartments in Vienna became vacant. Today, the horrifying extent of this action and what would follow can be witnessed in historical markers that have been placed on the sidewalks and houses of some of the residences. The brass plaques detail how many Jewish residents lived in the house, and how few survived. Some even detail names. Many of these signs can be found in the city’s traditionally Jewish Quarter such as the Leopoldstadt, Vienna’s second district, sometimes referred to as the “Mazzes Island” (http://www.viennareview.net/on-the-town/city-life/the-graetzl/karmeliterviertel-no-mazzes-is-an-island). 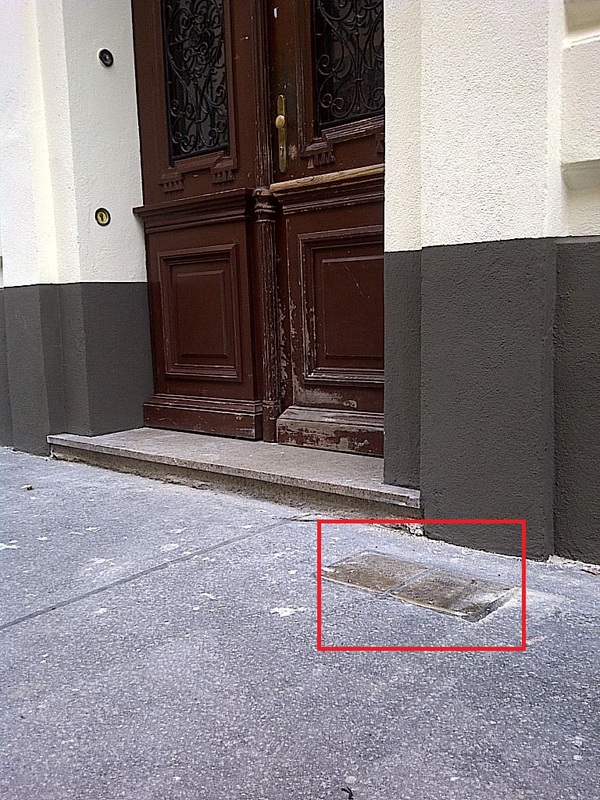 If you take the U4 or U2 subway to Schottenring, take the elevator up from the U2 up to Herminengasse and simply walk down the street, you will already find two such markers – one on a house and one of the sidewalk. 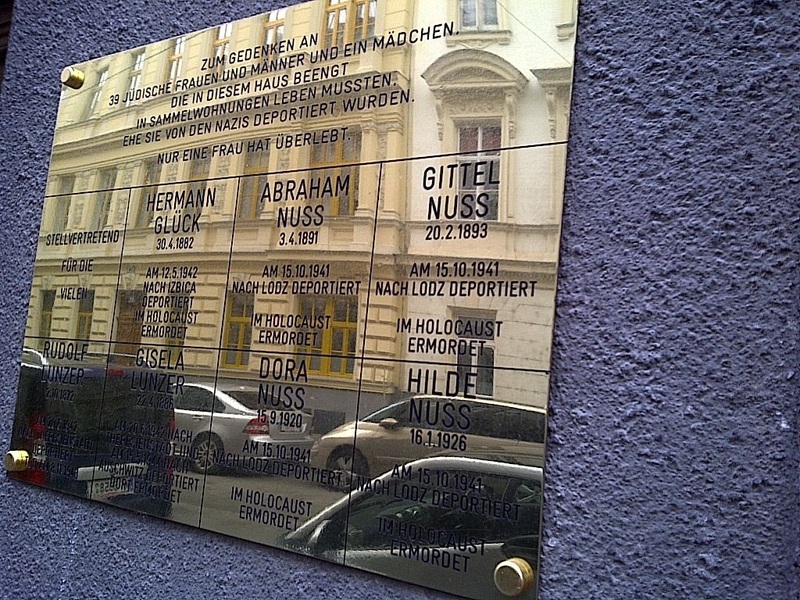 “In remembrance of the 39 Jewish men and women and one girl who lived crammed together in a collection apartment before they were deported by the Nazis. Only one woman survived.” Includes also the birth dates and names of some of the victims along with the deportation date and destination. “A Letter to the Stars,” which you can visit under the following website, http://www.lettertothestars.at/, is an initiative that attempts to ensure that history is never forgotten and never repeats itself and also contains information about the fate of the city’s persecuted members. On one part of the website, users can access two databanks – one about those who were murdered and one about the survivors. The “Databank of the Murdered” details the fate of thousands of Vienna Jewish residents who were deported during WWII. Once you are on the webpage, enter the name of a Vienna street into the space entitled “Strasse / Hausnummer” and click the “Suchen” button below. You will then see a list of all the people who once lived in that street, and, if known, information about what became of them. Don’t enter more than the street name, however, since the databank tends to not produce any results if too much information is entered. 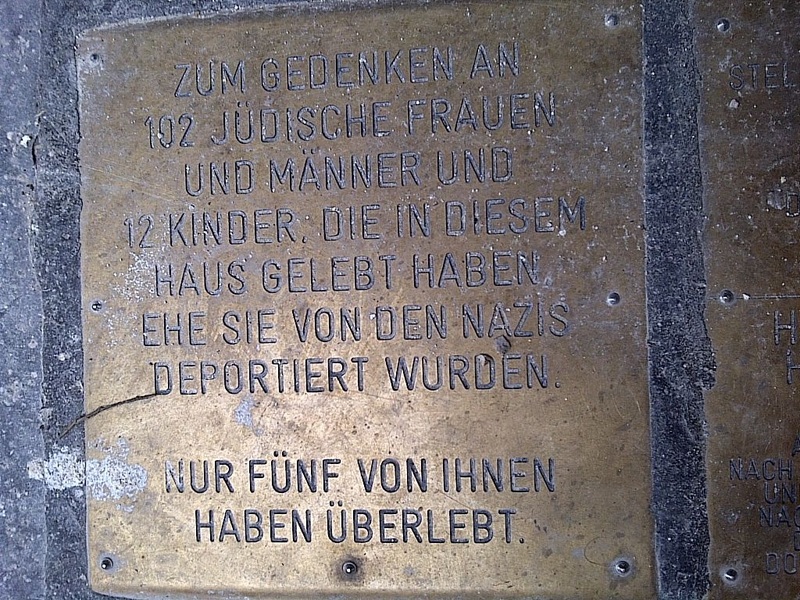 Plaque in Memory of Holocaust Victims forced to reside in a collection apartment in the Herminengasse before being deported by the Nazis. In another project entitled, “The Last Witness” teachers and school children can get in contact with Holocaust survivors living all over the world. These “last survivors” would like to share their life stories, and legacies with youth living in the former homeland. In a second project entitled “The Righteous” teachers and school students investigate the life stories of those who did not act as silent witnesses to the Nazi regimes but rather showed the civil courage to help those being persecuted by saving their lives. The Austrian magazine, Profil, has two articles about Vienna and Kristallnacht online. Both are in German.